Join educator and host Dr. Sam Patterson and his cast of puppets as they discuss all things coding and programming. 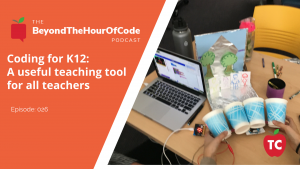 What is code is doing in our classes, and how can we, as teachers, respond to the public pressure to code in a way that serves our highest pedagogical goals? 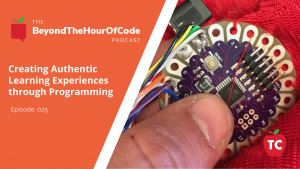 In this episode of Beyond the Hour of Code I share some of the projects I am currently working on to develop my own skills and confidence. 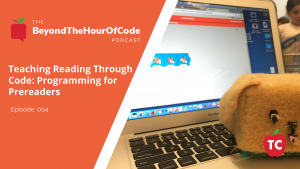 Teaching Programming to our PreReaders: How can Coding Teach Students to Read? 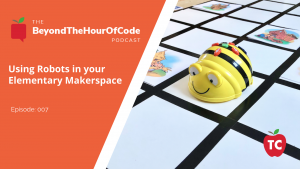 Ever since I discovered that my pre-reading students could code using leveled apps like Kodable and The Foos, as well as open studio apps like Scratch Jr, I have worked to figure out how this fun and engaging challenge could be linked to literacy instruction. Looking for a fun way to use Robots in Makerspaces? Here is a lesson design guide for you! Learning with robots through programming and group work is a very kinesthetic form of learning. Understanding the roles a robot can play will help you design engaging and meaningful lesson. 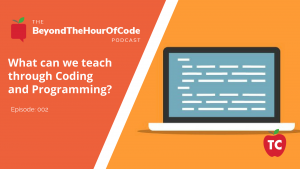 What can we Teach Through Coding and Programming Activities? 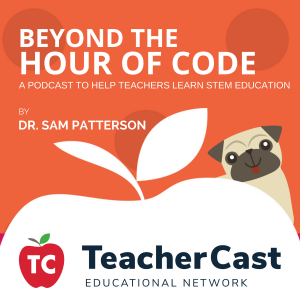 Welcome to episode 2 of Beyond the Hour of Code, a podcast to help teachers do great work. 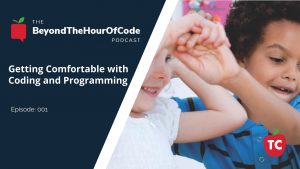 In this episode, we take on a couple of the big ideas we need to use code the best way possible for our elementary students. STEM Education for All Educators: What is Block-Based Coding? Can Classroom Robots be used to address Social and Emotional Learning? 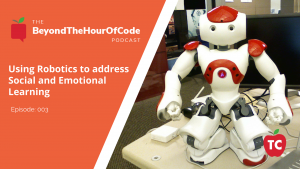 In this episode of Beyond the Hour of Code, we DARE TO SHARE and we SHARE to CARE! Big slogans made of short words and the power of programming and robots to help your kids learn how to share jobs and resources in the classroom. 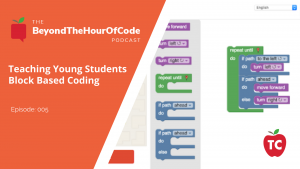 Hello and welcome to the first episode of a brand new Podcast called Beyond the Hour of Code. If you are an educator or parent looking for information about how to enhance your classroom lessons and activities through STEM education, coding, and robotics activities, this is the podcast for you.